It’s the night before your history exam, and you’ve been hovered over your notebook for so long that your eyes are redder than the highlighter in your hand, and you can feel the energy depleting from your body with the turn of every page. Instinctually, you reach for a cup of coffee to bring you back from the zombie-like state you’ve fallen victim to, but is loading up on caffeine really what will help you in the long run? True, there are positive benefits to drinking coffee and consuming things that contain caffeine, such as tea and chocolate. The release of adrenaline provides what feels like instant and endless energy. It also increases dopamine levels in the brain, causing us to feel great pleasure from the effects of caffeine, and therefore, associate pleasure with our intake of caffeine. From this standpoint, caffeine seems great, but as with anything, there are two sides to this story. Caffeine is essentially a drug, which comes with risks of dependence and addiction. 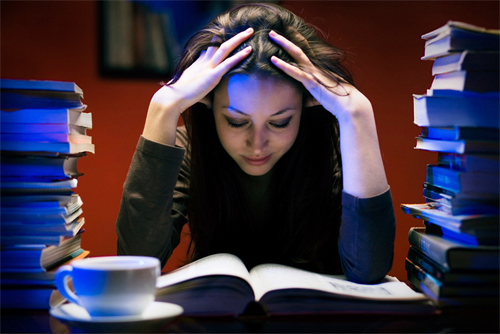 Caffeine can stimulate your central nervous system causing headaches, irritability and restlessness. It can also cause loss of fluids and dehydration, which can be a serious problem for athletes. I know what you must be thinking: “If I can’t turn to coffee or caffeine to replenish my energy, what’s going to keep me from face-planting on my notebook and failing this history exam?” Don’t fret! There are plenty of alternatives to caffeine; snacks that are not only great for you, but will give you a long-lasting, healthy energy boost. One example of this is by incorporating more vegetables into your diet. I know this sounds more like an age-old ploy influenced by mother’s world wide, but “eating your vegetables” has come into the modern age with some tasty style. According to livestrong.com, vegetables contain not only essential vitamins, but also carbohydrates and fiber your body uses to produce energy. Pairing vegetables like red peppers and baby carrots with hummus can add a protein to your snack and make the energy benefits more long lasting. We’ve been told since childhood “an apple a day will keep the doctor will keep the doctor away,” but who could have known how much truth this cliché holds! Apples are a “superfruit.” They contain tons of fiber, which keep you feeling fuller longer. According to the UK’s “Huffington Post,” the peel of an apple contains a chemical called ursolic acid, which boosts the burning of calories and muscle build, so you won’t have any guilt from this snack. However, what I consider to be most important to all of us tiger scholars is that apples boost brainpower. Apples increase the production of acetylcholine, reported “Good Housekeeping,” which communicates between nerve cells. This aids your memory, which comes in handy when trying to memorize major dates and names for that exam of yours! One healthy treat that would go great with this superfruit is organic peanut butter. Organic peanut butter doesn’t have the hydrogenated oils that conventional peanut butter has, making it better for you. Peanut butter also has magnesium, which activates enzymes needed to release energy in the body, according to livestrong.com, making apple wedges and peanut butter just the power snack you’ve been searching for! Caffeine may seem convenient and have tons of short-term benefits, but when choosing a snack it’s the long-term effects it can have on your body that you must consider. So wipe those weary eyes … with the help of these healthy and tasty snacks, you can say goodbye to the caffeine crashes and hello to healthier studying with every bite.